Interested in finding out more about a category banner? This section covers all you need to know: from placement options through to art specifications and more. What is a Category Banner? 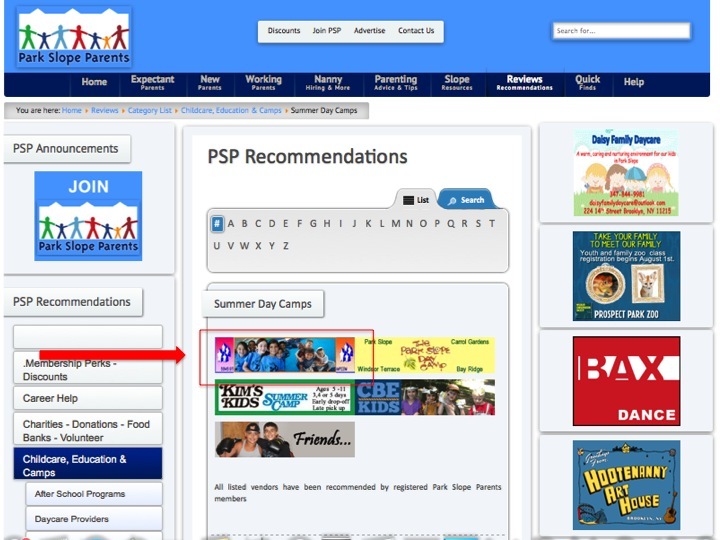 A Category Banner sits at the top of any of our PSP Recommendations pages. This section includes member reviews of local businesses and services. 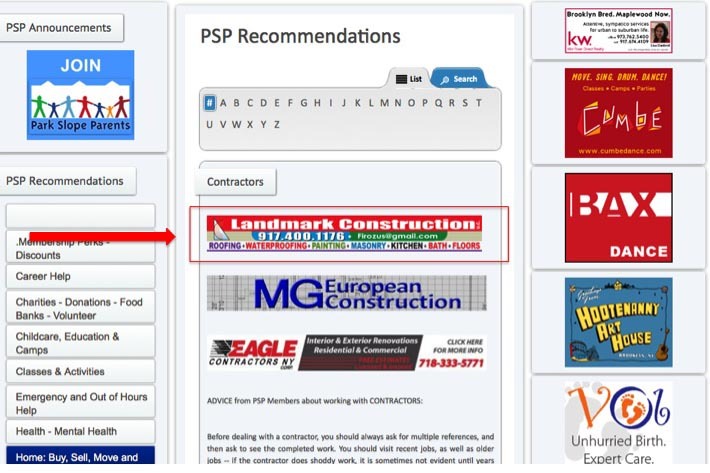 To be listed in the PSP Recommendations section, you must be referred to by a PSP Member. You can, however, expand your reach and awareness through a carefuly placed advertisement so that when a PSP member looks for a plumber, pediatrician, preschool, or any other local service - your services are prominently promoted in a targeted and trusted environment . What does a Category Banner look like? A category advertisement sits at the top of the page within the Recommendations category you are interested in targetting. Category Banners come in two sizes, full (468 x 60 pixels) and half (234 x 60 pixels). - Half Banners occupy a half-width of the header and are sized at 234 x 60 pixels and occupies half of the header of any PSP recommendations page. - Full Banners occupy the full width of the header and are sized at 468 x 60 pixels and occupies the entire header of any PSP Recommendations page. - Ads are accepted in GIF or Animated GIF formats. We do not accept Flash or ads larger than 100K in size. Interested? Contact for pricing information. Pricing is subject to availability and varies according to category. 2) Select the category (website page) at which your ad should run. 3) Pay by check or invoice payable within 30 days. The Best Place to Raise Kids?